WIW 5/25 Maximal with a shot of prep. Going out after work. 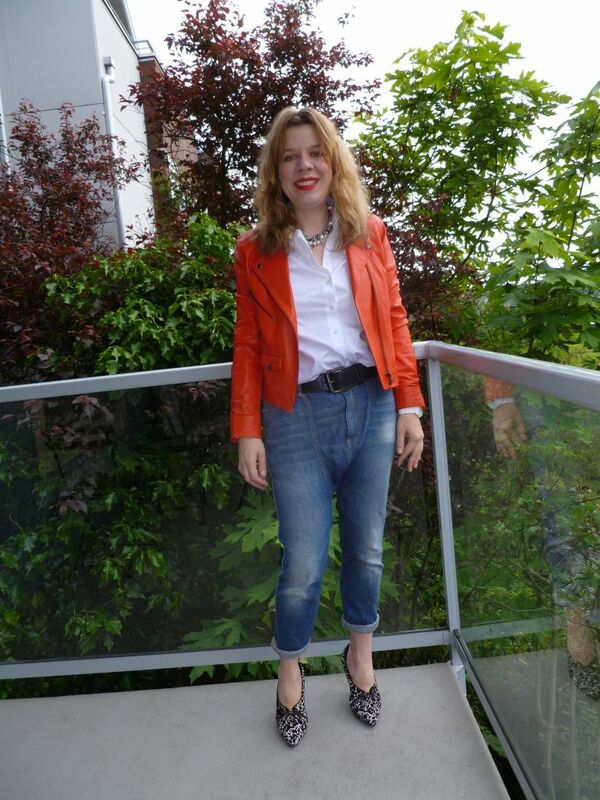 Attempting to revive my orange moto, worn with Brooks Brothers button down and R13 harem jeans. Accessories, Target mixed chain and pearl necklace, Barneys giant studded leather belt and Sigerson Morrison black and white zipper trimmed hair calf pumps. Going on a urban hike through downtown Seattle and it's raining. You've seen a variation on this outfit before. 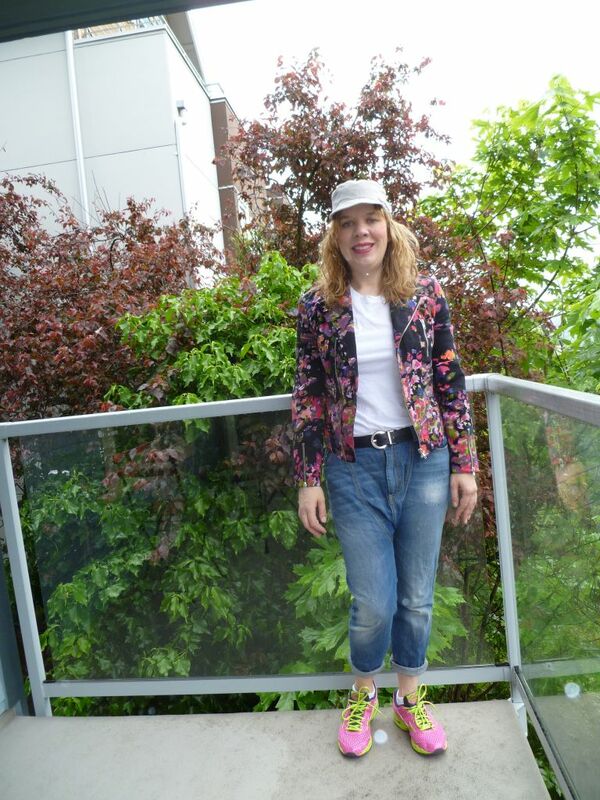 I swapped out the button down for a t-shirt, added a hat and a neon cross body. 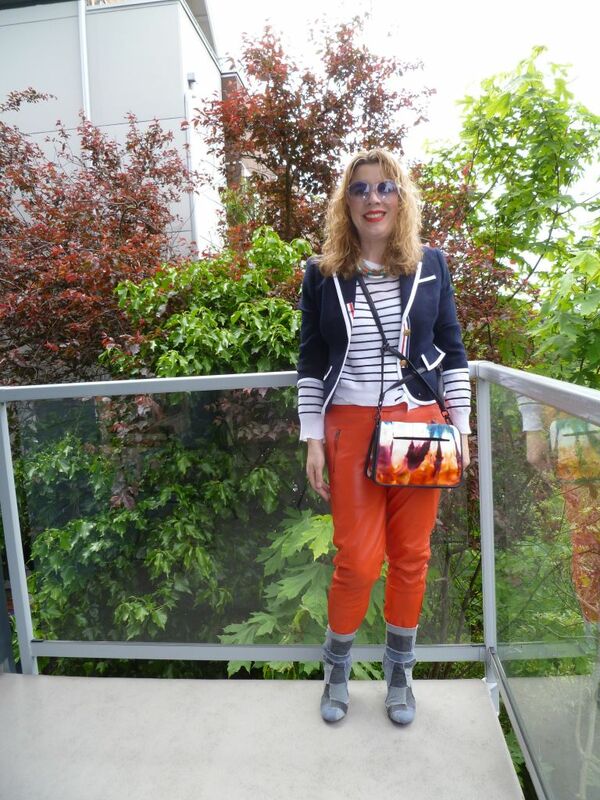 Decided to wear my sort of orphaned red-orange leather pants with my Laurence Dacade patchwork denim boots. Added my ALC twisted hem striped sweater, Neiman Marcus x Target by Thom Browne tipped navy blazer, Theyskens' Theory flame cross body and Zara necklace. Lipstick is Nars Heat Wave, an orange red that matches the pants. Going to one man act of vaudeville and cabaret. 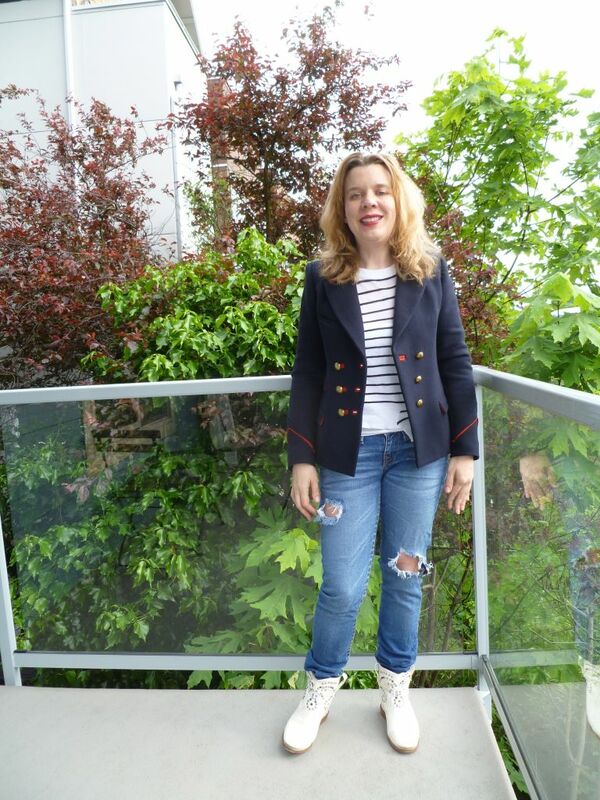 Isabel Marant navy blazer, ALC twisted hem striped sweater, True Religion destroyed jeans and Isabel Marant dirty white boots. This time I decided to use the red lipstick. Going to a professional conference in downtown Seattle today. I was going to wear my microcheck pants and black boyfriend blazer, but the blazer proportions were all wrong for the pants. They need a fitted blazer. 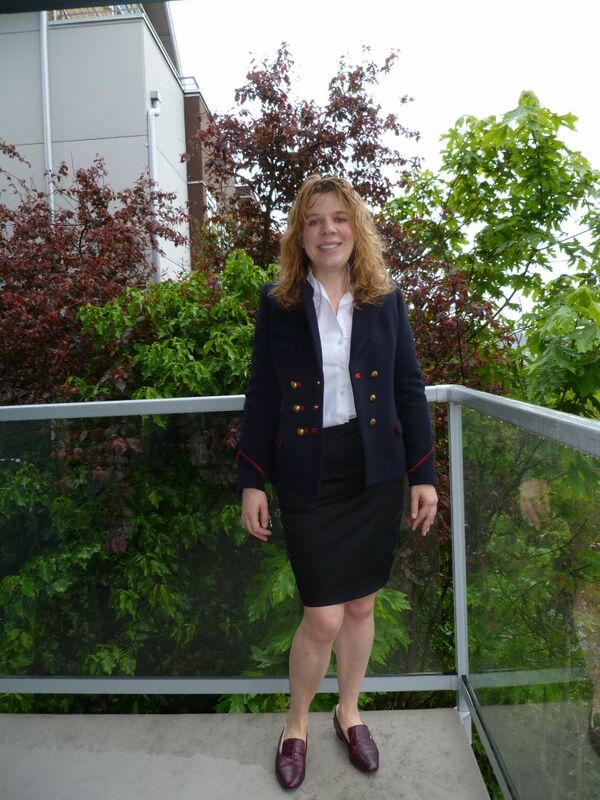 Then I put on a pencil skirt with my metallic tweed Etoile Isabel Marant zip jacket, too casual so I settled on this Isabel Marant navy blazer with gold buttons and red trim. Worn with my Brooks Brothers no iron shirt, black pencil skirt and Lanvin burgundy croc print smoking slippers. Should I add red lipstick? 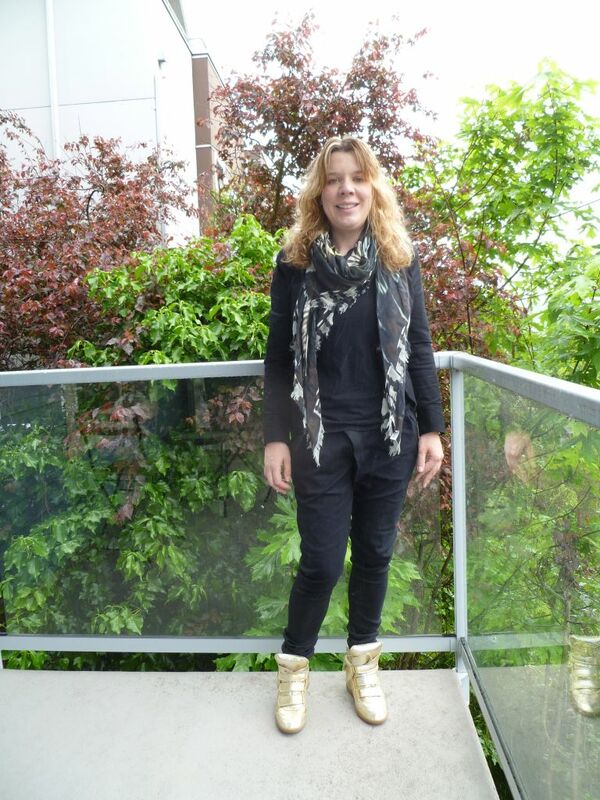 Wearing a L'Agence star printed blouse, Gap boyfriend jeans and Isabel Marant dirty white studded boots. 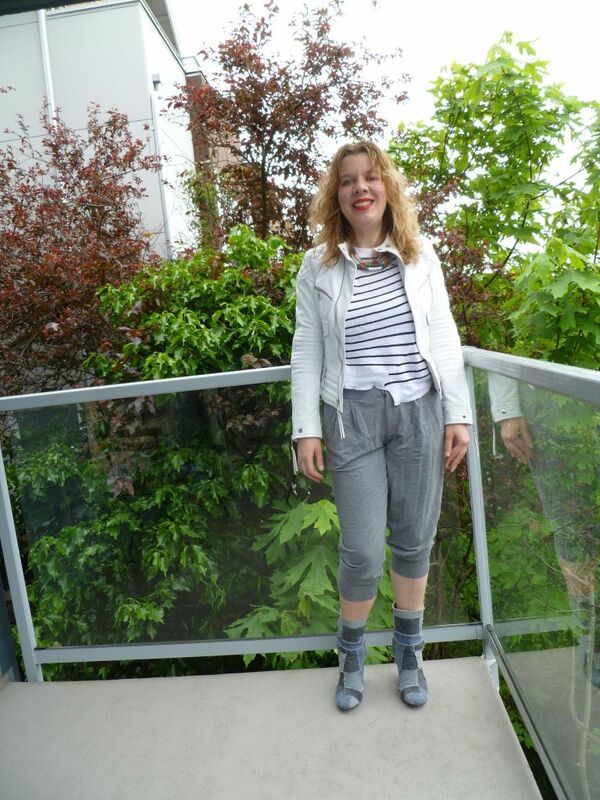 So I was inspired by this blogger look I pinned. Target mixed chain and pearl necklace, black/grey/white plaid shirt, silver leather twisted All Saints skirt, and Lanvin patent leather smoking slippers. 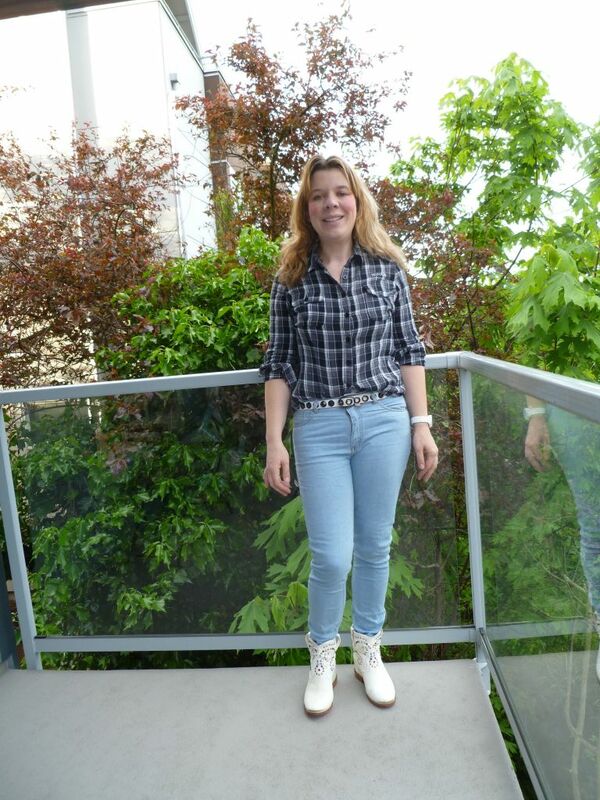 Black, grey, white plaid shirt, white with black studs belt, Court faded blue skinnies and Isabel Marant dirty white studded boots.